Gender Concerns International in accordance with its mission to support the women’s full integration into electoral and policy-making processes taking place within democracies around the globe has conducted the Pre-Election Gender Need Assessment Mission (PGNAM) in Ukraine between 14-18 January. Director Sabra Bano has led the mission during its quest to support Ukrainian women and strengthen the inclusiveness of the Ukrainian democracy. The mission’s goal was to assess the conditions for women’s engagement in the democratic electoral process in Ukraine. The meetings conducted with key stakeholders helped in generating understanding regarding support given to them by the State of Ukraine, and assisted in building crucial insight into these conditions. The formulation of the herein presented comprehensive analysis shall contribute to support and promote Ukraine’s evolving democratic journey. The insights acquired during the mission will as well serve as the groundwork for the Gender Election Observation Mission (GEOM) during the landmark Presidential and Parliamentary elections of 2019 in Ukraine. 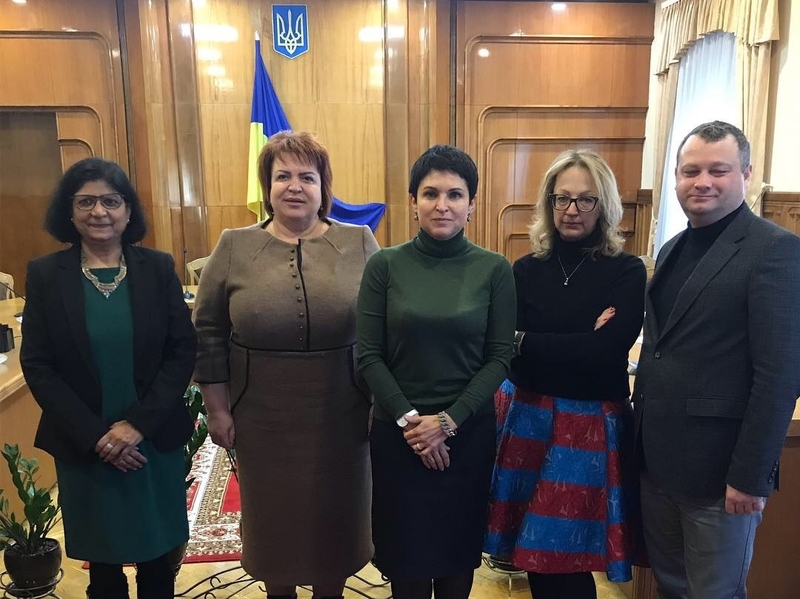 Photo: Sabra Bano meeting with members of the central election commission of Ukraine on the 15th of January in Kiev. Sabra Bano; Iryna Yefremara, member; Tetiana Slipachuk, chairperson; Svitlana Kustova, member; Leontii Shypilov, member.